Tundra had the most liked content! Welcome to ADK! Enjoy your time here! Welcome to ADK! Enjoy your time here and feel free if you have any questions to ask! Welcome to ADK! Hope you enjoy your time here! That Ult is so easy to get kills or assists on, similar to Sorakas but she doesn't do damage just heals. Welcome to ADK! Feel free to hop down in the LoL chat on discord as well! We have a pretty good group here! Hope you enjoy it and feel free if you have any questions to PM us! Welcome to ADK! I hope you enjoy your time here, it's a great place to be so welcome! Yeah I feel you, I mean I'm not sure what they really should do. Two years pretty much with the same roster and they couldn't get it done. It's pretty disheartening. I'm at least glad I got to see them live this year as well. No problem Bobby! I use a lot of the ones for replays and sometimes match ones. it depends. 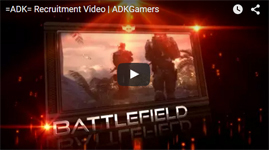 Welcome to ADK and our forums! I hope you enjoy your time here! If you ever have any questions feel free to ask away! Welcome to ADK!! Our Overwatch peeps are cool! You'll enjoy your time here! Welcome to ADK! You sound so much like me in terms of schooling and our PC build running basically the same components! Enjoy your time here! If you ever play League of Legends feel free to pop down into our section of the discord! Yeah as cait i really liked the basic look of Safari, but this one is sooo sick to look at in game.